M E R R Y C H R I S T M A S * T O A L L ! 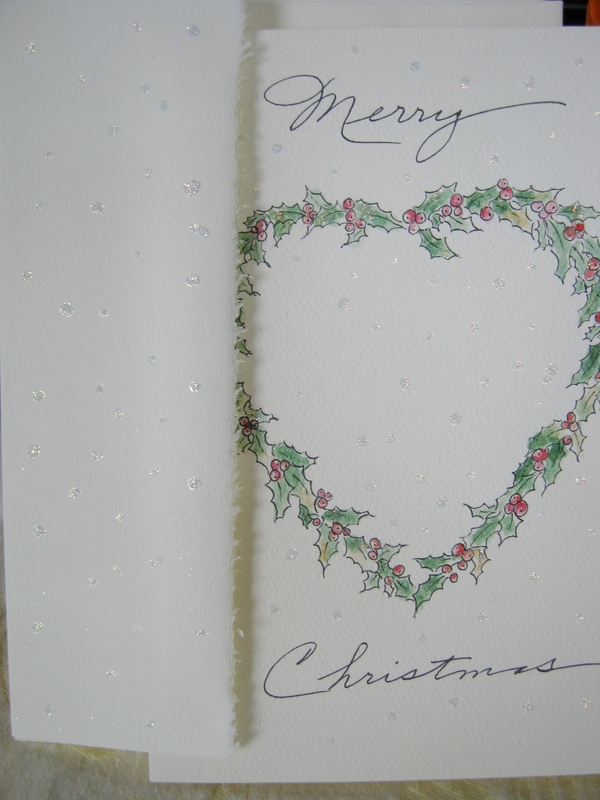 I wish all of you a very Merry Christmas, and a very healthy, happy New Year. I’ll be busy this coming week, as I know many of you will be. but I want you to know how much I’ve treasured your friendship, encouragement, and love throughout this year. You are all a true blessing, and I appreciate each and every one of you. I love you, and send many blessings your way. 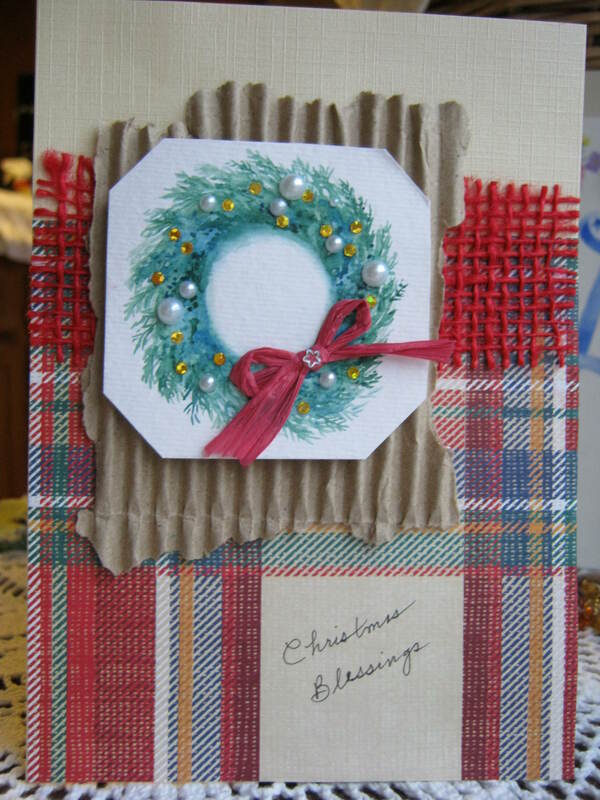 I made the above card today for someone, and the design is based on one that I did many years ago. I apologize the images are so dark, but we are having cloudy weather today. 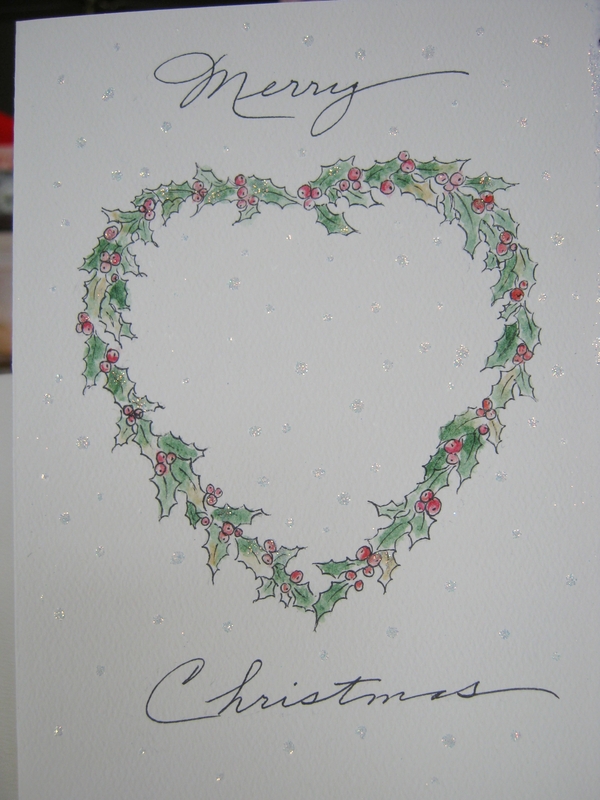 I hope you can see the delightful gently glittered ‘snowflakes’ throughout the front of the card. I also continued that on the envelope flap to match. Note: The above image is based on a 1986 design by Marianne Coyne. They’re here! 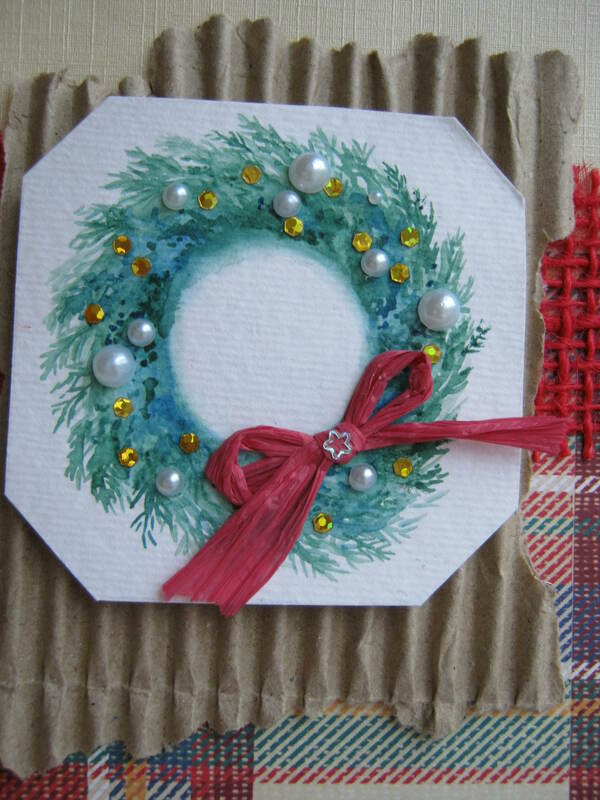 The Christmas and New Year cards are available, and with the added glitter they are precious. The Christmas has glitter spotting the background like little snowflakes all around her, and a touch of sparkle on her fuzzy warm collar and cuff. 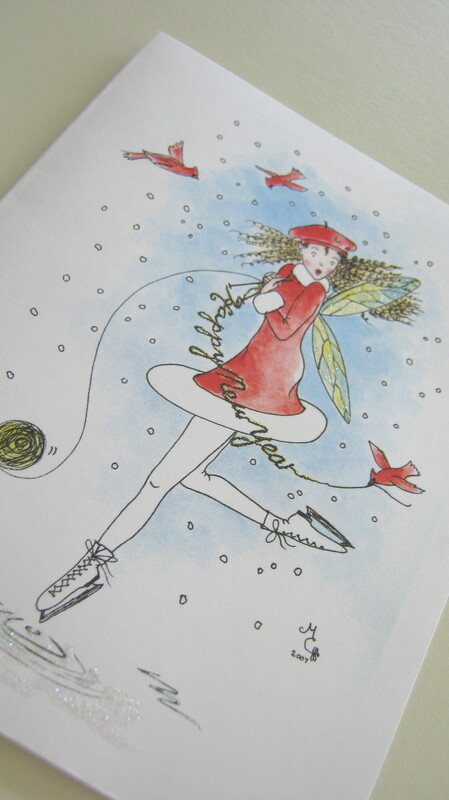 The New Year fairy’s wings are all a twinkle and the ice glistens. How fun! 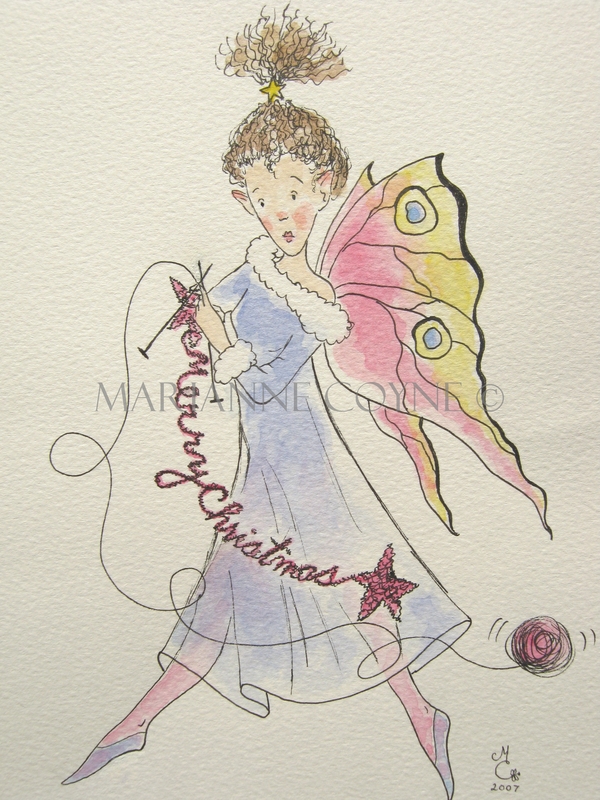 To read more about her, visit the Knittington Fairies page. PayPal should be available soon for those of you who are interested in the cards. Have a wonderful day. And until next time, may happy days abound. I wanted to briefly share with you the beginnings of the Knittington Fairies. One evening in 2007 I had just finished making a card for someone, when suddenly I imagined a whimsical face with quirky hair frantically knitting a “Merry Christmas” message (it was close to Christmas). 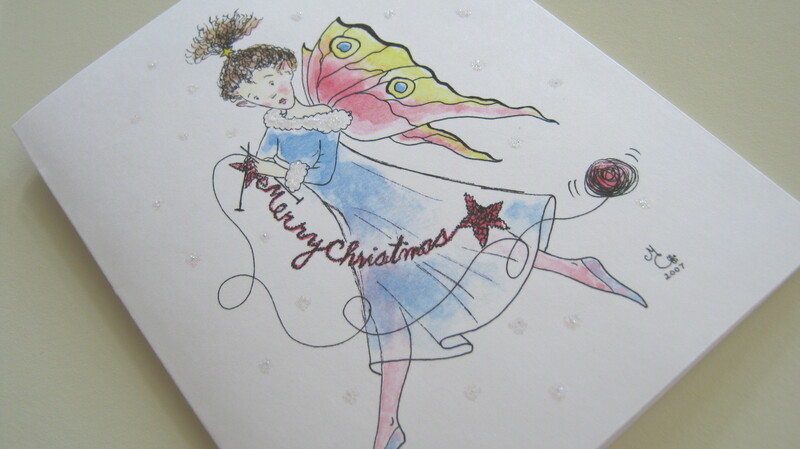 As I began to sketch she took on a life of her own with fairy wings, a flowing dress and a star in her hair. The next day I made a Thanksgiving fairy. Before I knew it I had a fairy for every month of the year, and the Knittington Fairies were born. It was as if each one whispered their name, and their personalities seemed to pop off the pages. I will be adding more pictures as the blog develops, so keep checking back. And I’ll keep you up to date on any new paintings, stories, or drawings that will be added to the neighborhood on Leisure Lane.